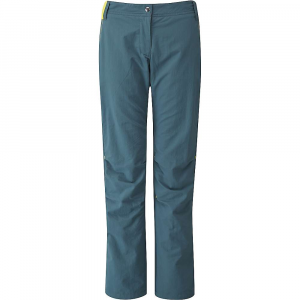 Visit Patagonia's Escala Rock Pants page. 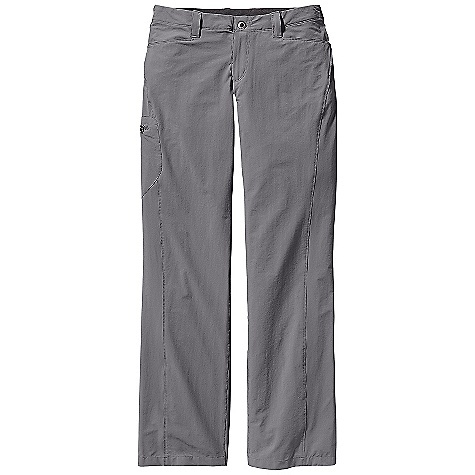 Tough, soft and stretchy, Patagonia's new Escala Rock Pants balance crag performance with everyday comfort. The organic cotton, polyester and spandex twill manages moisture and regulates temperature, while the engineered pattern and stretch encourage free movement. 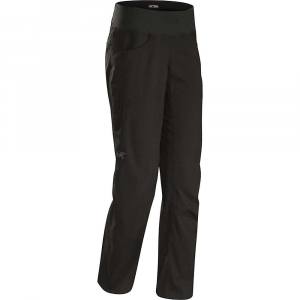 The trim waistline has a zip fly and minimal under-harness bulk, thanks to the low-profile OppoSet adjustable waist. Breathable mesh backers and lay-flat construction on the hand and rear pockets maintains comfort. 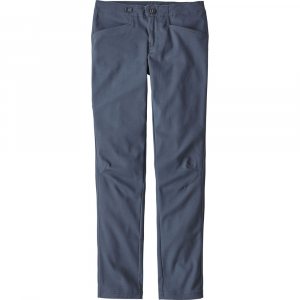 A low-profile right-thigh snap pocket secures valuables, and the tapered lower legs enable precise footwork. 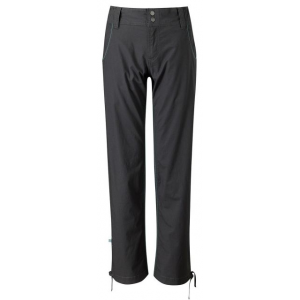 Tough, soft and stretchy, our new Escala Rock Pants balance crag performance with everyday comfort. The organic cotton, polyester and spandex twill manages moisture and regulates temperature, while the engineered pattern and stretch encourage free movement. The trim waistline has a zip fly and minimal under-harness bulk, thanks to the low-profile OppoSet(TM) adjustable waist. Breathable mesh backers and lay-flat construction on the hand and rear pockets maintains comfort. 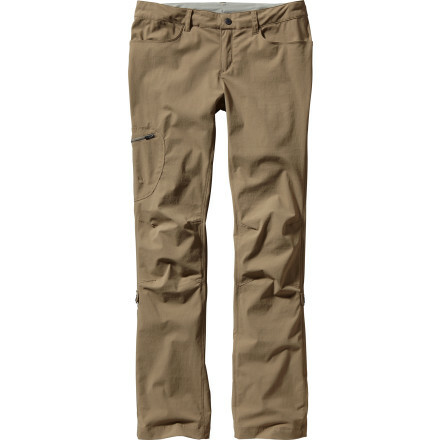 A low-profile right-thigh snap pocket secures valuables, and the tapered lower legs enable precise footwork.